For A One Time Payment Of $67 $37 Only! At Last: The Only Weight Loss Strategy That Encourages You To Eat More Delicious Foods! And you won’t need to count calories, reduce your portion sizes, or stop enjoying meals at your favorite restaurants, either. This means every pound you melt away, you’ll keep off for life. I’ve tried them all, and while they may provide some short-term results, they’re practically impossible to maintain. You name it, I’ve tried it. But they're very hard to maintain. It's why so many us go on some sort of "diet," and although we might lose some weight in the short term, we always wind up putting the weight back on. Then I discovered a simpler way. A way that allows you to eat more of the delicious foods you love, so that you never feel like you're "depriving" yourself or "missing out" on a satisfying meal. And if you're a busy person like me, and you eat a lot of your meals "on the go," you'll have a simple eating strategy that suits your lifestyle...never has you feeling hungry... and STILL melts away the fat from your "problem areas" without any hard work required. In fact, since I started using The Sugar Belly Secret, I eat out every single day, never do intense exercise, and I will never go on a "diet" again. Why would I want to? 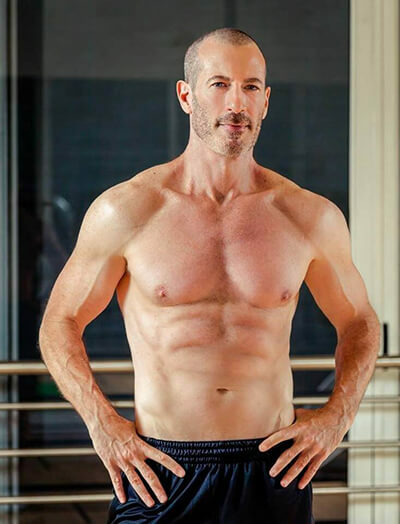 Thanks to The Sugar Belly Secret, at age 55 I'm leaner, fitter, healthier and more energetic than ever before in my life. You see, The Sugar Belly Secret isn't a "diet." It's a fun, easy-to-follow weight loss strategy that’s simple to maintain, works fast, and doesn’t disrupt your lifestyle at all. As I grow older I don’t care to look older. The good news is, one of the many benefits of The Sugar Belly Secret is that your skin will transform into a younger, healthier version of itself. In my mid-40s, my skin had become pale, gray and saggy, and it was all because of my eating habits. When I finally figured out the easy-to-follow weight loss strategy I share with you inside The Sugar Belly Secret, you’ll discover how to enjoy youthful, glowing skin again - all-naturally. In fact, once you've discovered The Sugar Belly Secret, it’s not uncommon to “turn back the clock” 10 to 20 years. I don’t care how young or old you are. You’re NOT supposed to feel this way. Using this easy-to-follow strategy, you’ll find yourself hopping out of bed in the morning before the alarm goes off and maintaining a consistent, clear-headed stream of energy throughout the day (without pots of coffee or jittery energy drinks). Chronic inflammation can lead to dangerous diseases, such as some cancers. In the short term, it can cause your joints to hurt, impact your mobility, and cause you pain and aggravation throughout the day. Your aches and pains are mostly due to inflammation, and it's because you're consuming food and drinks that you might THINK are "healthy" (or at least, "not so bad") - but they're actually putting stress on your body. 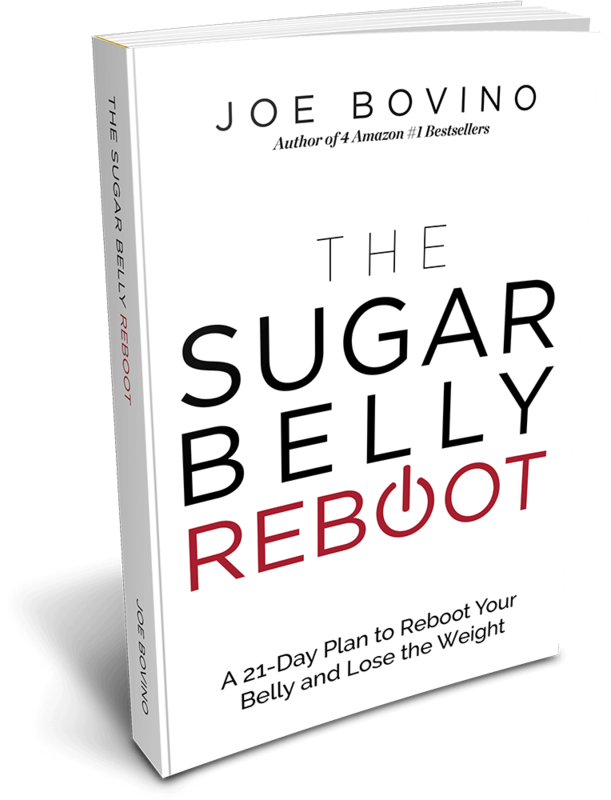 Inside The Sugar Belly Secret you'll discover a new way of eating that will not only shrink your belly and waistline - you'll also eliminate inflammation, which gives you tremendous pain relief and boosts your mood and overall health. Did you know lack of deep, restful sleep is directly connected to obesity, stress and anxiety? And your anxiety (and even symptoms of depression) can lessen and disappear in a very short amount of time. But That’s Not All – Order Now And Also Receive Four Free Bonuses! When you order your copy of The Sugar Belly Secret through this special page, I'm going to include four special (and extremely valuable) bonuses for free. 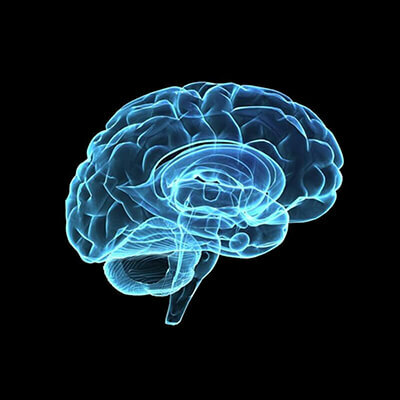 That trick your brain and your body into working against you? But with these two bonus ebooks, which are yours FREE when you order today, you'll finally know the TRUTH about fast, easy and effective weight loss! 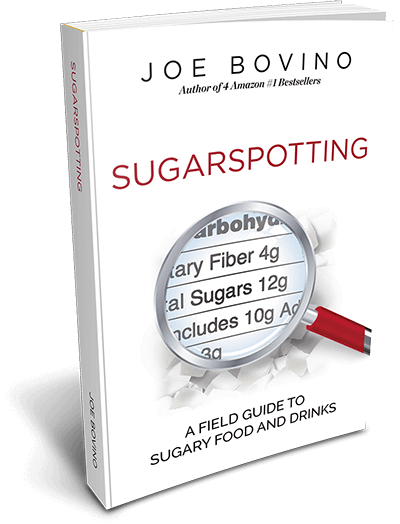 While this next bonus ebook, Sugarspotting, exposes the shocking truth about hidden sugars and so-called “healthy” or “low calorie” food and drinks that are actually destroying your efforts to lose weight. And just as importantly, you'll know which so-called "healthy" foods and beverages to AVOID. Inside this handy step-by-step guide, you'll discover how to shed the toxins that are clogging up your system and “reboot” your body quickly, so that your extra pounds will melt away even faster. No stress, no hard work. Just follow along and have fun with it. Well, I completely understand - because before I discovered The Sugar Belly Secret, I was exactly where you are right now. 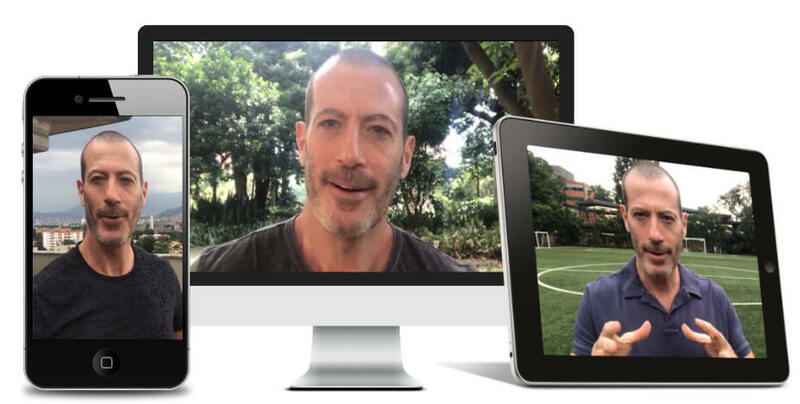 So I'm also including a series of Walkthrough Videos, so that I can explain the ideas in the Sugar Belly Secret book and share with you additional tips and secrets to help you achieve your goals even faster. You can watch these videos on your computer, smartphone or tablet. Just click on them, and watch them - it's that simple. You've got the only roadmap you will ever need to lose as much weight as you want and flatten your belly, while you enjoy every meal - and best of all, you'll be able to keep it off for life. Order Now, While These Bonuses Are Still Available, And You're Covered By A 60-Day Money Back Guarantee. You can send an email to my friendly 24-hour Customer Support Team and request a refund, at any time over the next 60 days. Your payment will be returned to you, in full. Every penny. No questions asked. The only reason I'm able to make this offer 100% risk-free is that I'm absolutely confident this program will work wonders for you. I know it has worked wonders for over 12,300 of my students so far, and many of them send me emails and pictures every day to rave about their results! I sincerely hope that YOU will be our next success story, and I'd be thrilled to hear about it once you see for yourself how easy and sustainable this is. Click the big green button below, and you’ll be taken to a secure order form on the next page. Just fill in your details on the next page, complete your risk-free purchase, and you'll get immediate access to The Sugar Belly Secret plus all of the special limited-time bonuses. Click the big green button to get started, and I'll see you on the inside. ClickBank is the retailer of products on this site. CLICKBANK® is a registered trademark of Click Sales, Inc., a Delaware corporation located at 917 S. Lusk Street, Suite 200, Boise Idaho, 83706, USA and used by permission. ClickBank's role as retailer does not constitute an endorsement, approval or review of these products or any claim, statement or opinion used in promotion of these products. Your credit card statement will show a charge from CLKBANK* All testimonials are true. Some identities and photos have been altered for the privacy and protection of requested individuals. Customer will pay shipping and handling fee. Questions or concerns?